Has there been a more hotly anticipated match on Smackdown? Finally, the Phenomenal AJ Styles defends his WWE Championship against his toughest opponent yet, Samoa Joe! Finally, the WWE Universe gets what it has been clamoring for, a one on one confrontation between these two titans of the ring. Arguably one of the most gifted wrestlers of the current generation. Is there anything he can’t do? Is there anyone he can’t have a good match with? 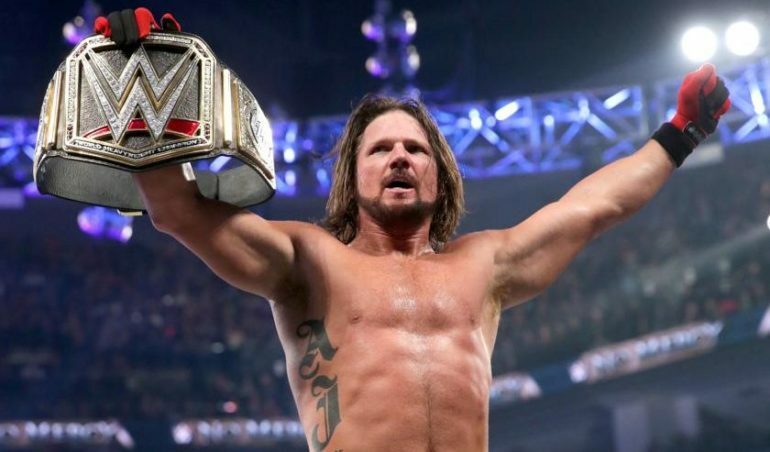 AJ has been the champ that runs the camp since he reclaimed the WWE Championship November of 2017. Styles successfully defended the prestigious title all over the world, against a host of varied opponents. Time and again he has proved to be a fighting champion. He’s an assassin both with his words and with his physicality. Joe can strike with the speed of a man half his size and the power a man of his stature is expected to possess. In his quest for gold, his eyes are set on the Phenomenal One’s prize. The Destroyer will not stop his relentless pursuit until he holds what he believes to be his rightful place at the top. These two are anything but strangers. While this is their first time facing off in the WWE squared circle, it is not their first time sharing the canvas. Both AJ and Joe took similar paths through the independents and gone to war all over the world as they honed their craft. Their historical battles are the stuff of legends. The WWE Universe has been salivating at the thought of Joe and Styles in the same ring again. Everything about this match! 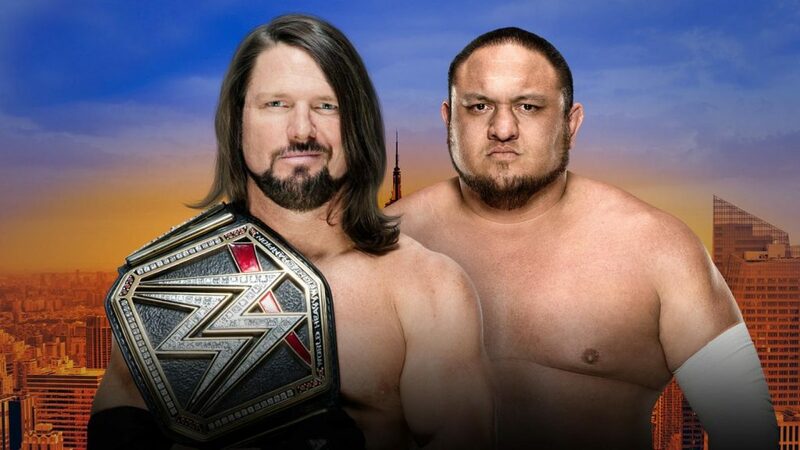 If you aren’t excited about AJ Styles vs Samoa Joe are you even alive? Yes, we are going to get an instant classic but this match is also deeply personal and emotionally charged! If there is one thing Samoa Joe can do, it is attacking his opponent mentally in a way that creates instability. AJ is fueled by his emotions, unfortunately, sometimes to his detriment. Will he be able to focus on the task at hand and retain his championship? Or will the Phenomenal One allow himself to become unraveled by the physical and mental onslaught that Joe will surely bring? These two men will take one another to the brink. It will come down to who makes the first mistake, and who will capitalize. Both men are submission specialists. Both men redefine what it is to be athletic. Both men have a ring IQ that is unparalleled. Both men want to be WWE Champion. But who wants it more? 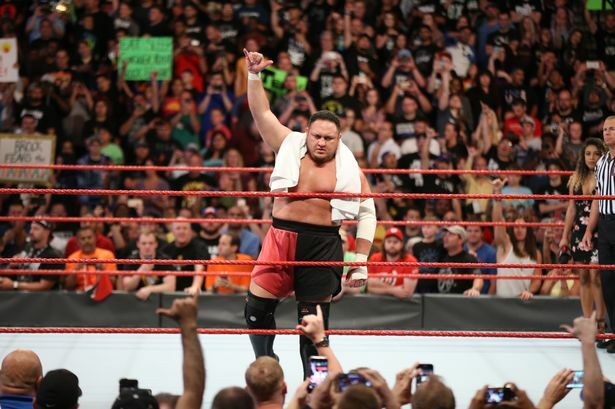 Samoa Joe wants it more. He has been chasing gold since his debut. He’s come within fingertips of it only to have it denied. He’s had to overcome the struggle and set back of an injury to finally be back in the position of obtaining Championship gold. He is hungry for it! He will not be denied any longer. He will walk out of Brooklyn our NEW WWE Champion. This entry was posted on Wednesday, August 8th, 2018 at 6:07 pm	and is filed under Events, News. You can follow any responses to this entry through the RSS 2.0 feed. You can skip to the end and leave a response. Pinging is currently not allowed.